Here at The Amazing Blog, we know important staying safe in the sun is. However, we also don’t want to spend summer hiding in the shade and not getting that tan that makes all our friends a tiny bit jealous. So when a couple of products came to light which offered us super safe sun protection but also enhanced that healthy glow we all love and crave, we were so excited to try them out. First of was the Green People Tan Accelerator. We love Green People here at The Amazing Blog, having featured them a few months ago here. Green People never test on animals, use no harsh chemicals (82% of ingredients are organic) and 10% of all profits are donated to charity, making them an ethical powerhouse. The Tan Accelerator is kind on skin, and is ideal for sensitive skin as it is suitable for eczema and psoriasis sufferers. It only has a 15 spf factor and a medium coverage rating, but it's wide UV spectrum allows for a healthy tan whilst blocking the super strong rays. At only £18.95 from the Green People website it’s a reasonable price compared to some alternatives and does a whole lot of good at the same time! 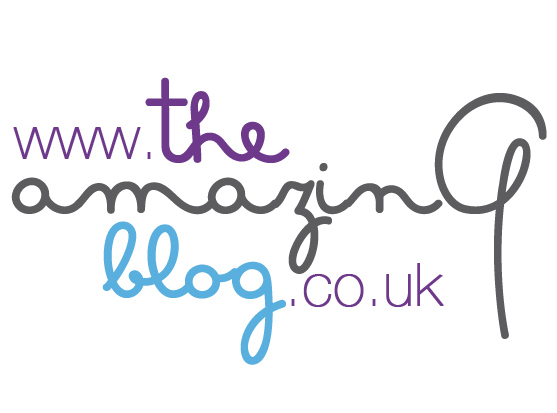 Do you, like us at The Amazing Blog, struggle with the beauty myth that is self tan? We have tried nearly every powder, mousse and liquid under the sun. Some have given us the flawless fresh of the beach look we desire. Others, however, have left us with carrot coloured legs that bring us to tears. When we heard about Caudalie, and the Bazaar Top 100 and Beauty Insiders Choice awards it won, we had to give it a try. The perfect solution for a ‘sun-free’ tan, the light, silky fluid sweeps on easy for a streak-less, sun kissed glow,which complemented my skin’s natural tanning tone. When applied to dry, clean skin, the one-tint suits all lotion melts on the skin and dries in a flash. The tan rinses off with water, so is perfect for one off events, or when in a hurry and the 92.8% natural origin ingredients make it super kind to skin and good for the environment! Caudalie is available here for £26. Do you want that effortless, LA tan? Well, thanks to Madame LA LA you can now get it in a bottle. The Madame La La Tan provides an instant LA glow that develops in only 3 hours, making it one of the fastest acting tans on the market. The lightweight tinted mousse is a quick-dry ‘DD’ (dynamic do-all) Tan Perfector which infused with hydrating skincare benefits such as Coco Water, Aloe, Green Tea and Vitamin E. Coming in a ‘light’ shade as well as the standard tan, the innovative colour customising technology ensures your tan looks natural whilst adapting to your individual skin tone. Madame LA LA Tan Light lasts for up to 10 days meaning that constant re-application isn’t needed, and we felt like we had spent 2 weeks on Malibu Beach! Madame LaLa is available here from Feel Unique at £36 for 200ml. We love finding new bronzers to complement our summer tans. When we received the Sun-Kissed powder from Couler Caramel we were immediately blown away by the super cute embossed floral pattern on the powder itself. This kind of thing is mainly only seen on high high end designer brands so it was lovely to see an organic brand doing the same. The powder’s unique texture ensures easy application, delivers a silky finish as well as long-lasting hold. It is designed to be blended as desired with the powder brush to create beautiful depth. Its iridescent and matte multi-shades deliver an instant healthy glow effect. The different tones in the powder itself make it multipurpose, and can be used as a bronzer, a blusher or a highlighter. With all the ingredients being from natural origin and 10% of the total ingredients are from Organic Farming, the chemicals and processed elements of other cosmetics just aren’t present here. Available in six shades, the Couleur Caramel’s Sun-Kissed Powder can be purchased here. A new product type we are seeing in suncare, the ‘sun protection/tanning product’ has been adopted by Skeyndor as they present their Tanning Control Cream. It is an spf product which also has a medium protection SPF 20. Fresh from its Sun Expertise line, the cream is made with the best knowledge and expert ideas to create a powerful tanning cream that still protects the skin, especially in the face area to the overall aging. The Sun Expertise by Skeyndor a range of specific sun protection products allows you to enjoy your daily dose of Vitamin D without fear of invisible consequences. With a combination of classical filters built in, Sun Expertise products protect you without burdening your skin with the slick, sticky feel of commercially available sunscreens & lotions.